“Since launching its sustainability program in 2006, Walmart has reduced energy consumption in its stores, installed solar panels on its rooftops, curbed emissions from its trucks and recycled millions of tons of its trash. Now that the world’s biggest retailer has streamlined its own operations, it is turning its attention elsewhere – actually, almost everywhere. It’s Walmart’s most ambitious environmental project ever, and if all goes according to plan, it will change the way all kinds of consumer products – clothes, toys, electronics, food and beverages – are made. 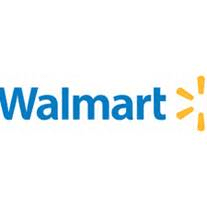 The typical Walmart stocks 125,000 to 150,000 products (! ), and the environmental and social performance of most companies that make them soon will be rated and ranked in Bentonville, Ark. How can wheat be grown with less water and fertilizer? How can chemicals of concern by removed from toys? What mining practices were used to extract copper, gold and silver for computers or jewelry? What percentage of your televisions sold last year were Energy Star certified? Do the grapes in a bottle of wine come from a farmer with a biodiversity management plan? How much water was needed to produce those polyester pants? If this sounds like a massive and fiendlishly complicated undertaking, well, it is. It has been in the works since 2009, when Walmart unveiled The Sustainability Consortium, a nonprofit coalition led by the University of Arkansas and Arizona State University that was set up to provide scientific research to undergrid the effort. Since then, a few other retailers (Tesco, Kroger, Ahold, Best Buy) and dozens of consumer product brands (Coca-Cola, Disney, Kellogg’s, Mars) have signed on to the consortium. Working with research produced by the consortium and its scientists, Walmart last year sent questions to suppliers in about 200 product categories. Hundreds more will be surveyed this year. The surveys will cover about half of the products sold in Walmart, which had revenues of $468 billion last year. Walmart is ranking its suppliers, from best to worst in each category. The rankings will be shared with its buyers, who are known as ‘merchants'; theydecide what gets onto store shelves and play a vital role inside Walmart. The merchants, in turn, will be compensated in part based on the sustainability performance of their category. To further integrate sustainabiltiy into Walmart by giving responsibility to the merchants. As always with Walmart, the opportunity is to drive change at scale. ‘We’re really trying to accelerate the scale of sustainability innovation, not just identify green niche products,’ Rice said. Several Walmart suppliers who were willing to talk – any many were not – told me that the index will help build a stronger business case for their own sustainabiltiy efforts. ‘The index challenges us to continually improve,’ said Kim Marotta, chief sustainability officer at Miller Coors, which is working with the farmers who grow its barley to reduce their use of water and pesticides. It also helps her make the case inside the company that ‘sustainability is very important to our business,’ she told me. To read more from companies that don’t think it makes a difference, the rest of the article is available HERE. Final Results for RecycleMania are in! The final numbers are in! Congratulations to everyone for a solid showing in this year’s competition. The results are cumulative over the entire 8 weeks of the competition. Keep your waste minimization and recycling habits going for the rest of the year!